338 Grey coloured parts with one massive piece of Vinyl /PVC for the Skirt and a huge (I do mean Huge) PE fret. These are presented in a huge box and for once the box is just adequate for the parts within and not an oversized marketing ploy. 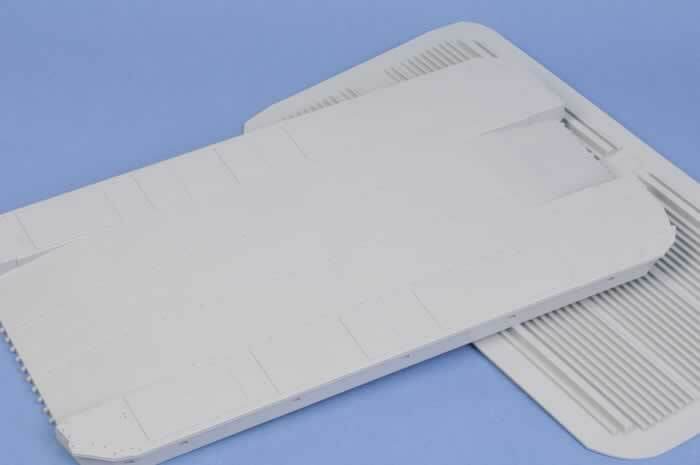 The Box has 9 sprue sets, a 1 piece lower hull, 1 piece deck, 1 piece vinyl skirt, a large decal sheet and a huge PE fret within its sturdy cardboard frame. Only JMSDF marking options (US Marines to follow?). It appears to only allow a Ramps up variant as it has an inflated Skirt. When Brett gave me this kit to review I was stunned by the box size which is huge for a 1/72 scale kit. I first thought that the box would be sparsely populated as is the norm for some manufacturers but was shocked to discover a box full to the brim with crisply moulded grey styrene , PE , decals and an A3 sized full colour painting and marking guide. 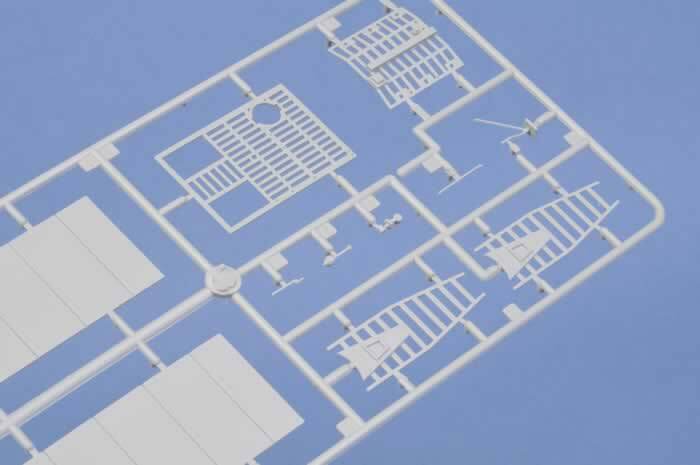 A lot of thought has gone into this kit from the build point of view and from a packaging point of view. 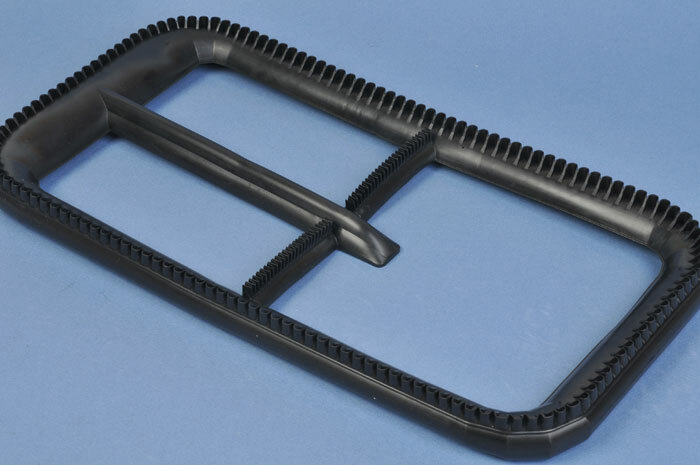 The bottom of the box has a large vacformed package which holds the impressive 1 piece Skirt and alongside it in a separate cardboard box is the Large PE fret. Underneath the vac form is a A4 sized cardboard box with the deck and hull lower as 1 piece moulds. 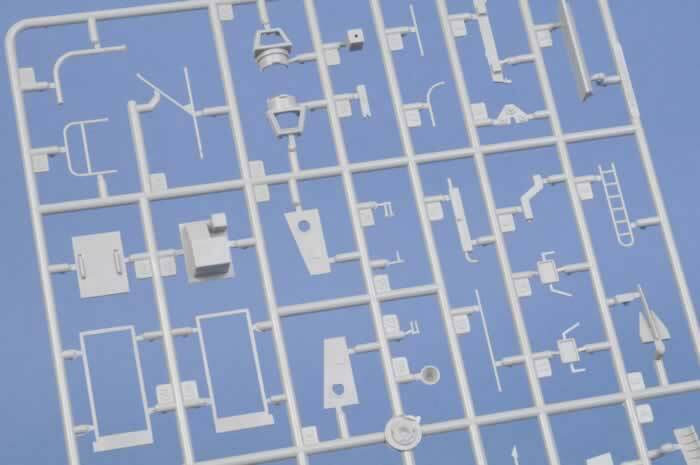 An A3 sized decal sheet rounds out the package along with the 8 gray sprues with one in clear. The Landing Air Craft Air Cushion (or LCAC) is a 21st Century approach to the landing craft and is a long way removed from the craft of WW2. It is large and very hi tech with 3 Pilots rather than a traditional Helmsman and bridge crew. Air cushion craft for transporting, ship-to-shore and across the beach, personnel, weapons, equipment, and cargo of the assault elements of the Marine Air-Ground Task Force. 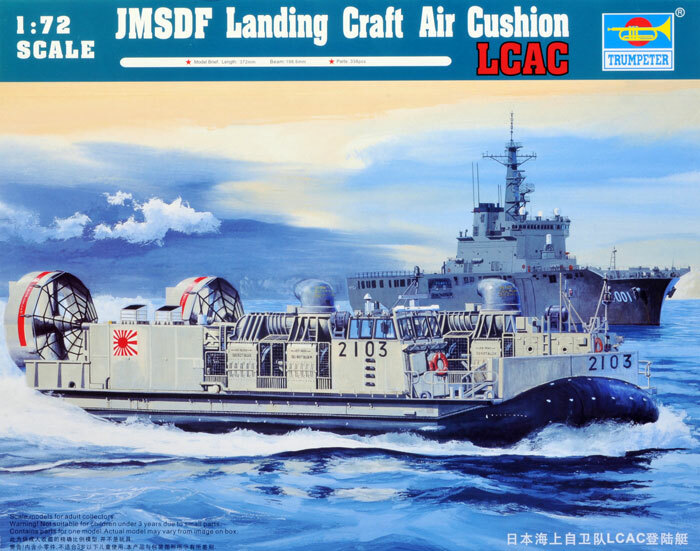 Minimal Information on JMSDF LCACs can be found here: JMSDF LCAC however the box gives brief description indicating that the JMSDF selected the LCAC to serve aboard the Osumi class LST’s They serve with the 1st Air Cushioned Craft Squadron and are numbered LCAC-2101 to LCAC-2106 and are treated as defence ships in their own right. I thought construction would be simple and straight forward and just the sort of kit for a quick project. A read through the typical Trumpeter Instruction Sheet proves that this is a build that will require some time (and space!). 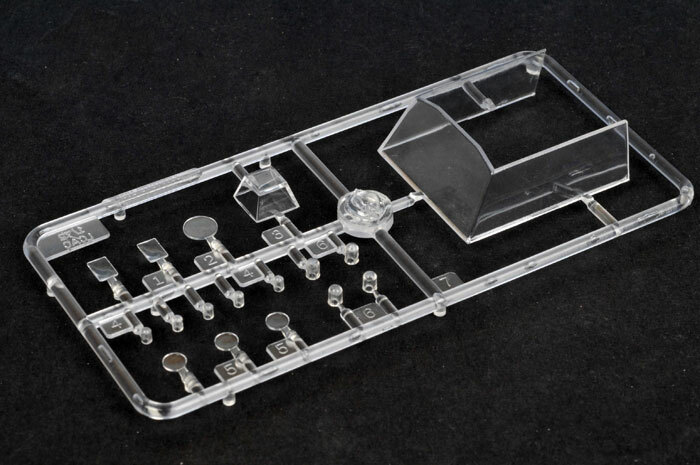 Construction is logical and straight forward and the kit is broken up into building sub assemblies. Step 1 & 2 This starts with the lower hull deck and adds the ramps (fore and Aft). It appears that the ramps are only available in the underway (raised) position due to the Kit only coming with an inflated skirt. The skirt whilst flexible would definitely prove to be an obstacle if you wanted to display the kit with Ramps Down. Steps 3,4 & 6 These are the ramp actuator sub assemblies and Trumpeter have giving the option of late or Early (I haven’t managed to work out which is which yet. You have four of these to assemble for the craft with two forward (port and starboard) and to Aft (port and Starboard. 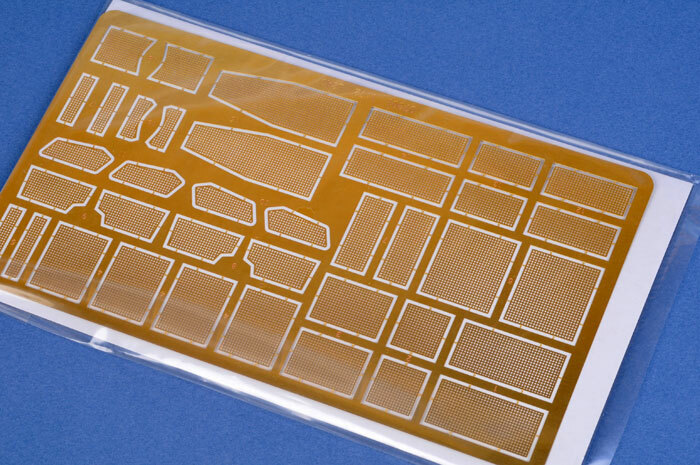 These have very well detailed PE Mesh panels that need to be attached during construction. Steps 5 & 7 This is where you put the actuators and associated screens, bollards and fixtures onto the Hull deck and the craft is starting to look like a very low profile craft. 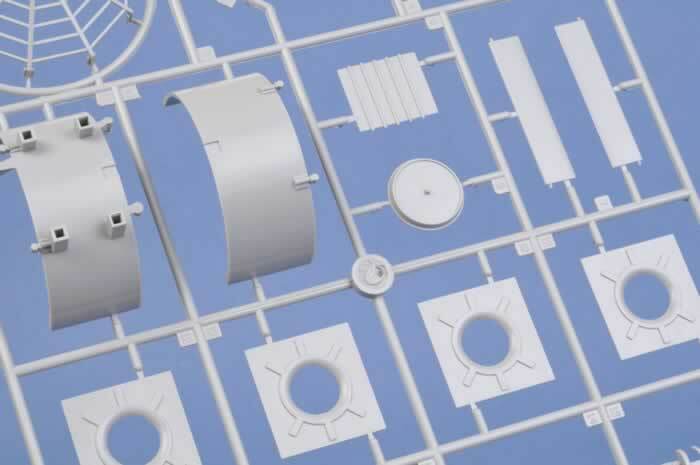 Step 8 Small detail sub assemblies for the Deck structures are covered in this stage such as doors, Life craft pods, Exhaust Stacks and Observation cupolas. Step 9 The upper port forward superstructure compartment is assembled in this stage which is quite busy when complete. Step 10 We make the Exhaust stack roof units for the turbine housings here. These are quite simple using the Exhaust nozzles from step 8 and 3 other moulded parts. Step 11 & 20 The Exhaust assemblies from Step 10 are added to the boxy Engine Housings and we see the first of the Large PE vents being added. Ensure you do not forget these as they are fitted from the inside of the assemblies. This assembly has a series of ribs that need to be added along the side of the exhaust stack. Surprisingly despite the large Mesh screens there are only bulkhead walls within. I suppose here is an opening for an Aftermarket set). 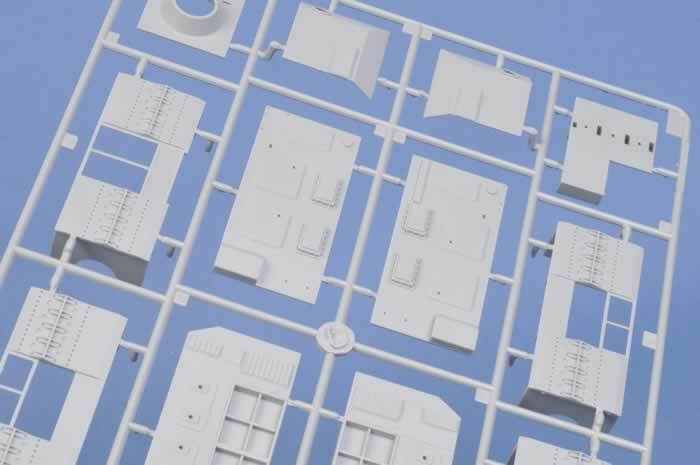 Step 14 & 21 - The last of the Superstructure compartments (rear most) is made up in the typical box like fashion and detailed with parts from step 13 and PE screens. 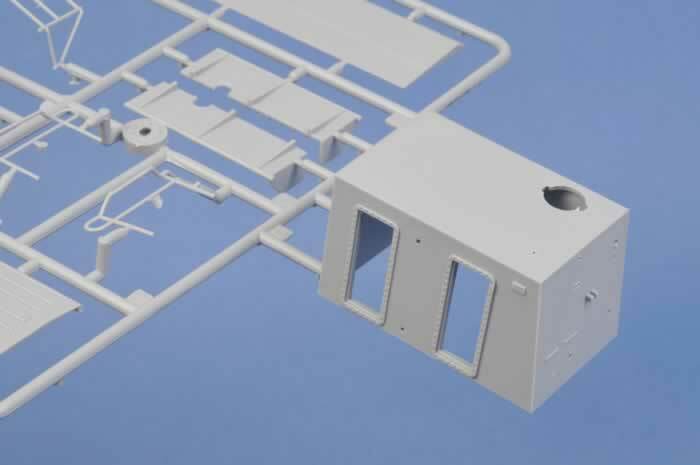 Step 16 – The Cockpit superstructure with interior is made up of approx 22 pieces. The “pilots” seats are all included with separate throttle, steering yoke and joysticks. A world of extra detail could be added here and despite the size of the decal sheet no instruments seem to be provided for the cockpit. 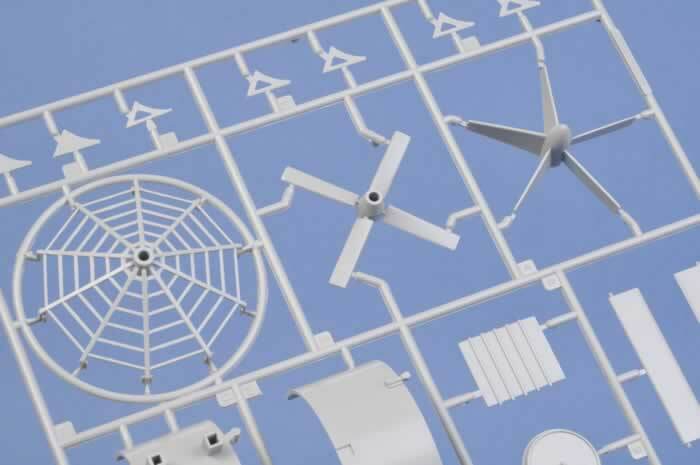 Step 17 – Additional detail assemblies in the form of Windscreen wipers (3 parts each x 6) and Mirrors for the Cockpit module exterior. Step 18 - The exterior of the Cockpit module is detailed with the wipers, Radar, rails, Life raft pod and nav lights. 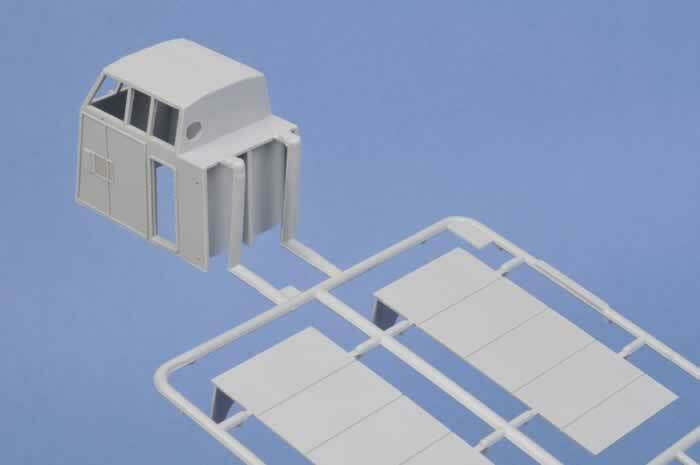 Step 24 – Mesh walkways for the Exhaust/Intake? Stacks are assembled and added to complete construction along with a railing/piping on the Starboard side. Step 25? 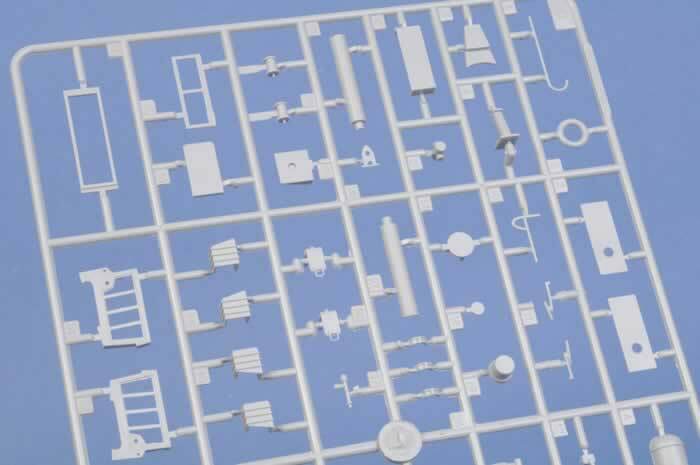 – The decaling is covered in a very well laid out and detailed A3 size colour Guide which shows the detailed placement and has plan views of both sides of each superstructure (port & starboard), Deck and skirt. 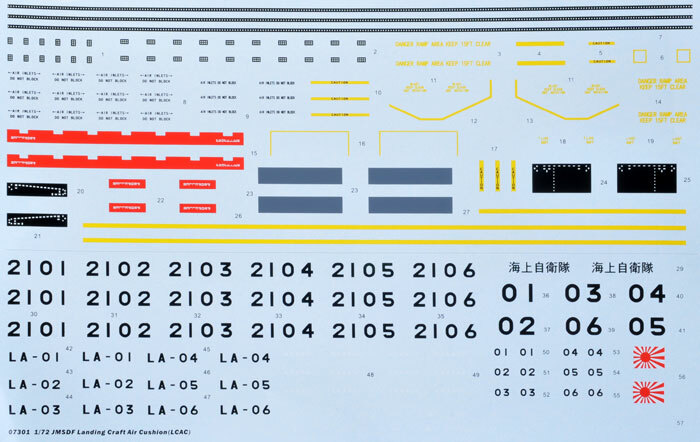 Decals are provided for all 6 JMSDF LCACs. Most markings are in English and a lot appear compatible with USMC markings so it shouldn’t be hard to do a USMC craft from this kit. I have pored over online pics of both operators craft and there is little in the way of US markings that can’t be done from this kit (correspondence from more knowledgeable welcomed). 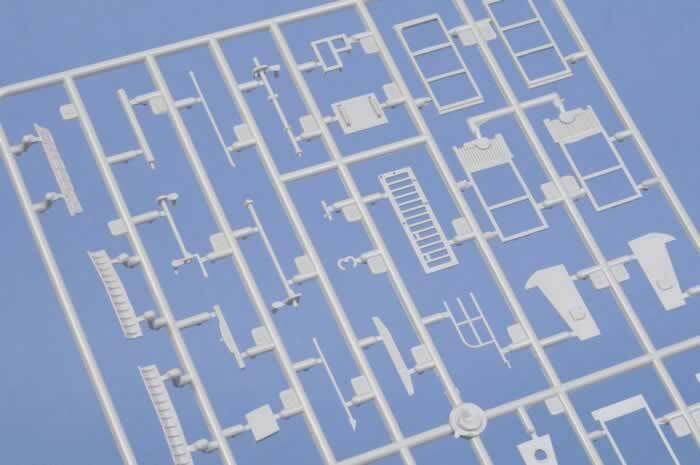 This is a fantastic kit which is well thought out and detailed but buildable. 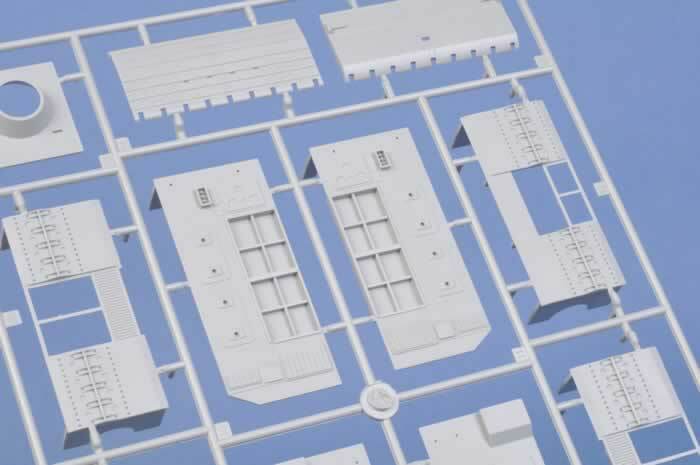 It will make a very unique piece and could be used to showcase JMSDF or USMC vehicles in a unique way. What better place for those lovely prebuilt LAV25 and HMMV! Well done to Trumpeter for tackling such a unique subject. It would look great alongside the old Airfix SRN4 which obviously inspired the real thing.